It was a warm December night in Perth, Australia, when Simpiwe Vetyeka defeated Indonesia’s Chris John in six rounds to claim the World Boxing Association featherweight title. Six days earlier, on 30 November, Zolani Tete knocked out Juan Carlos Sanchez Jr in the 10th round of their International Boxing Federation junior bantamweight title eliminator in the Mexican’s own backyard. It earned Tete a shot at the IBF crown. Within seven days, two South African boxers demolished their international opponents in a sudden flurry of power and talent. In a week, South African boxing was on the world stage. But neither of those achievements were the extraordinary thing. What was extraordinary was that both fighers came from two small townships near East London, poor and ignored communities that, for years, have punched way above their weight. Vetyeka is from Duncan Village, and Tete from Mdantsane. Those two townships have, for years, produced a long line of world-class pugilists. East London is small and poor, but it’s the boxing capital of South Africa. Just what makes boxers from the quiet coastal town special is strange to those outside the boxing fraternity. But insiders know why East London produces so many talented fighters. 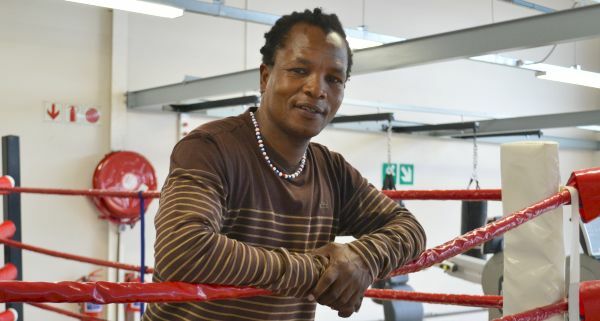 Vetyeka’s trainer, Vuyani Bungu, who had been in the fighter’s corner in Perth, says it: for young men, in this place, boxing is the only way out of poverty. Bungu himself was the IBF super bantamweight champion in 1994, beating the American, Kennedy McKinney, in what The Ring magazine billed as the “upset of the year”. For him, boxing freed his family from its financial worries. It is for this reason that boxing became a religion in East London, explains Bungu. Indeed, young boys and girls shadow boxing in the street or students boxing in the classroom are a common sight in the townships. Bungu’s claim is clear to visitors: a group of children playing on the side of the road start punching the air as soon as they spot Ncita driving past. They recognise one of their gods within the East London boxing pantheon. Bungu, 46, grew up in Mdantsane, South Africa’s second largest township after Soweto. Home to some 150 000 people, Mdantsane was established in 1962 after the apartheid government forcefully removed black inhabitants from East London’s East Bank. Duncan Village, with about 80 000 residents living in 15 000 shacks, according to the Association of American Geographers, had been a black settlement since the mid-1850s. Both places were poor and were therefore hotbeds for crime and gang violence. But it was this volatile environment that shaped great boxers, especially the legendary Nkosana “Happy Boy” Mgxaji. Born in Duncan Village in 1949, Mgxaji took up boxing as a way to defend himself in the mean streets of the township. Today, he is revered within the local boxing fraternity, and East London’s Daily Dispatch newspaper went on to claim the man as “the greatest boxing sensation this country has produced” in a column published in December 1999 that honoured achievers of the twentieth century. In its Heritage Project, the Sunday Times said Mgxaji was the inspiration for generations of boxers that followed after him. Seeing the boy’s potential, his older cousin, Thanda Bantu Dollar, would bring Bungu and his younger brother, Dudu, a pair of gloves on the weekend and allow them to spar in the street. 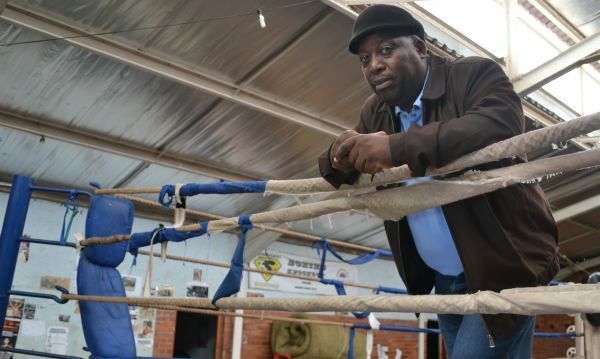 A trainer nowadays, Ncita was a member of the Eyethu Boxing Club in Mdantsane, which in its golden era of the 1990s was also home to Bungu and World Boxing Organisation light flyweight champion Masibulele “Hawk” Makepula. It was here that Ncita and Bungu became stable mates. “At Eyethu we were more like a family, motivating one another,” said Ncita. Bungu went on to defend his IBF crown 13 times, an all-time South African record. Mandela phoned him for each of those title defences and wished him luck. Watch the final round of the Bungu-McKinney fight. Bungu is in the blue trunks. Passing through Duncan Village and Mdantsane, one cannot help but notice the lines of shacks just inches from the road. Liquor stores and taverns are on almost every street corner, often arenas for drunken brawls. And as Bungu says, these are places where knife fights between rival gang members and illegal roadside gambling are common. When an East London boxer is in trouble in the ring, they are helped out not by the training they have received in the gym, but the harsh experiences of living in the township. The “shuffle” may have made its way into professional boxing but it was refined at amateur level. Bungu and Ncita honed their skills at this level, which forms the bedrock for professional boxing. But open boxing has been neglected for too long and is in danger of running out of funds to stay alive. The air is musky and only a skylight illuminates the dark hall. The face brick walls are adorned with newspaper clippings of fights involving Sisonke’s boxers. A poster of Happy Boy Mgxaji hangs askew. Dangling from a steel bar at the front of the gym are five punching bags of various sizes; they look like they have lost their firmness over years of being pounded. And in the centre of the gym stands a large boxing ring with tattered ropes and a stained canvas floor. It is this gym that has been the heart of amateur boxing in East London since 1995, or open boxing as it is now known. Mtekwana explains that the name change came about as an attempt to rid amateur boxing of its inferior image and as a way of attracting more sponsors. With a background in education, Mtekwana, who is Sisonke’s trainer and manager, has made sure he produces fighters who are disciplined and schooled in “the sweet science”. This is the reason why four of the 10 boxers who will be representing South Africa at this year’s Commonwealth Games come from his gym. Under Mtekwana’s guidance, the club has produced boxers such as welterweight southpaw Siphiwe Lusizi, who participated in the London Olympics in 2012, as well as South Africa’s very own female world champion, Noni Tenge. At one point, she held both the World Boxing Federation and IBF welterweight crowns. It is up to Mtekwana to find the R4 000 Sisonke needs every month to stay open. He charges a monthly fee of just R20 for club membership, which does not go far in paying the running costs. In 2012, there was another sign that Sisonke was struggling: Tenge was stripped of her IBF title because her team could not secure television coverage or a sponsor. “She lost it without throwing a punch,” says Mtekwana. He even allows young boxers to live at his house in Mdantsane. It is a place where they can sleep, study and be protected from violence, drugs and alcohol. He gives them groceries and other necessities as well. According to Bungu, professional boxing in East London has been on the up in recent years. This is because boxers who had left Mdantsane and Duncan Village for better resources and big sponsorships in Johannesburg are now returning to the coastal town. However, Bungu points out that the one problem the sport faces is television rights. It is hardly recognised by state television, adding that the SABC killed boxing. Only SuperSport supports boxing, particularly three promoters. Even then, television coverage is disorganised. Before Bungu flew out to Australia for Vetyeka’s fight, his team were under the impression that it would not be televised. Only once they landed in Perth were they told the fight would be shown on SuperSport. As for open boxing, Mtekwana believes it is in a good place despite the lack of funds. A change in leadership within the South African National Boxing Organisation, the body that oversees open boxing in the country, offers the sport a chance to revive itself. In November 2013, officials elected a new executive committee headed by Andile Mpofu, who is originally from King William’s Town, another Buffalo City town. – This article was first published on Media Club South Africa.com on 27 January 2014.